When you travel, you gain so much from the people and places you visit -- new experiences, perspectives, and ways of understanding the world. 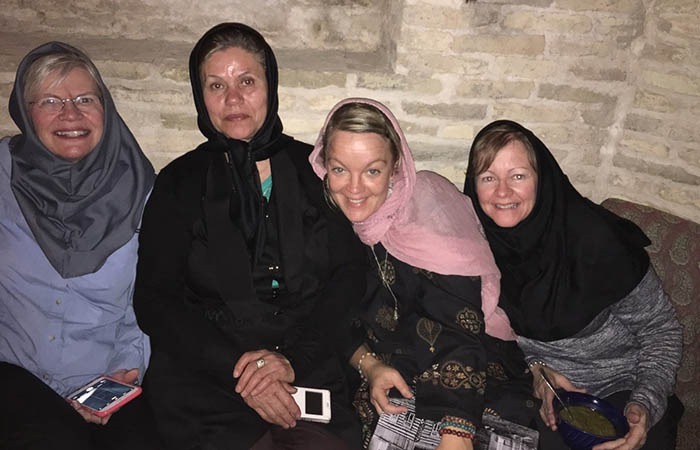 The CCJ Foundation is here to help you give back, to maintain and nurture those connections to new cultures and communities, and to help improve the lives of the people you visited on CCJ’s journeys. It all started in 1997, when a group of CCJ travelers made a contribution of $60 to build a roof for a teahouse run by a group of women they met in Lalibela, Ethiopia. 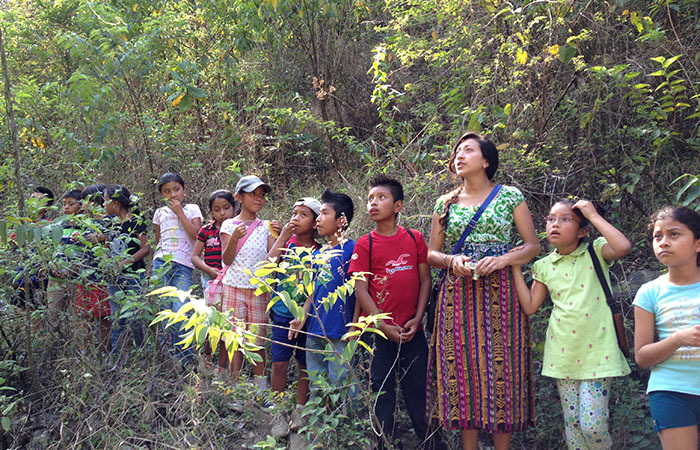 Today, the CCJ Foundation facilitates ongoing support from CCJ travelers for over a dozen programs in places we have visited over the years, including scholarships for a residential school in Nepal, an environmental education and computer skills program for Mayan teens in Guatemala, and medical supplies for hurricane victims in Cuba. Cross Cultural Journeys Foundation (CCJF) was established as a 501(c)(3) public foundation in 1998 to promote global awareness and foster sustainable development in the countries where Cross Cultural Journeys visits. The mission of CCJF is to “help create sustainable economic, educational, environmental and social development in underdeveloped countries of the world”. Since its establishment, CCJF has developed programs in numerous countries including Ethiopia, India, Indonesia, Tibet, Myanmar, Nepal, Cuba and Guatemala. Medical Supplies to Hurricane Survivors - After Hurricane Matthew battered eastern Cuba in October 2016, CCJ travelers donated over $2000 to purchase medical supplies for residents of the affected area. Art Supplies to Muraleando - CCJ Foundation regularly brings paints, brushes, pencils, drawing pads, and other art supplies to Muraleando (mural-making), an amazing community folk-art project in one of Havana’s poor neighborhoods. Youth Soccer in Havana - Cubans value athletics highly, but equipment can be hard to come by on the island. Since 2015, CCJF has brought several shipments of soccer equipment -- balls, pumps, cleats, practice cones and vests, referee’s whistles, etc. -- for a youth soccer league based in Havana. Musical Instruments and Supplies - While it may seem like musical talent grows on trees in Cuba, musical equipment unfortunately does not. 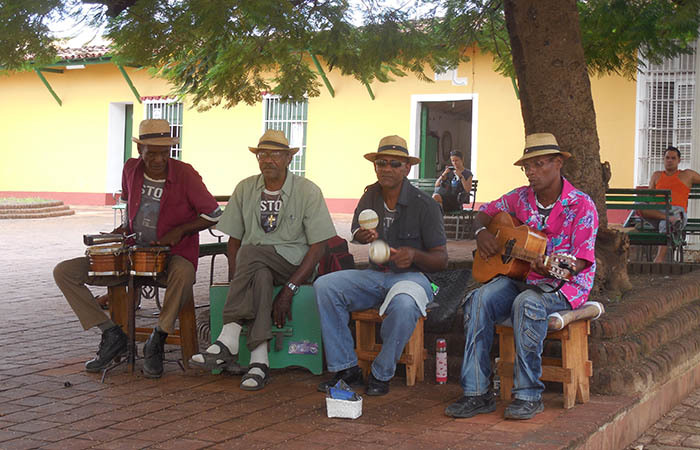 CCJF regularly brings musical supplies, like guitar strings, picks and saxophone reeds to give to Cuban musicians, and occasionally facilitates donations of instruments to Cuban music schools. Taa’ P’it - An after-school program in San Pedro La Laguna that provides local Tzutujil Mayan youth with computer skills training and teaches them about the ecology of Lago Atitlan, their “mother lake”. Queen of Sheba Tearoom - The CCJ Foundation began with a small grant in 1997 to fund the roof of a tea house near Lalibela, Ethiopia, being built by a nine-woman co-op. The women were destitute widows and single mothers. Travelers from Cross Cultural Journeys continue to visit the now highly successful Queen of Sheba Tea House. The daughters of the original 9 co-op women are running the tea house and now saving to start a grocery store. Tangible Hope - Ongoing support for Tangible Hope, a community based NGO in rural northern Ethiopia that empowers and protects young girls living in poverty by advancing their rights through education, medical care and nutrition. Nepal FREED - Working with the NGO Nepal FREED in the building of three rural schools and libraries and hiring teachers in the Sherpa region of Nepal. These schools had to be re-built by Nepal FREED after the earthquake, with infrastructure to withstand future earthquakes. Springdale School - Working with U.S. Springdale School team in the funding and construction of the building of a school in Bhaktapur, Nepal. An embroidery co-op for young women to earn funds for their education and teach their craft to younger girls so that they might become employed. Local crafts are purchased from subsistence level craftswomen and brought to the U.S. for sale; the proceeds are used to purchase more crafts to sell for them. Funding a rural community medical and medical education clinic in Northern Ethiopia staffed by a local health care nurse with basic medicines and a visit monthly from a doctor from Addis Ababa. A micro lending project overseen by local community elders with all repayment funds going back to the loan pool. A small grant to fund the roof of a Tea House being built by a nine-woman co-op. The women were destitute widows or had been abandoned by their husbands. Travelers from Cross Cultural Journeys visit the now highly successful Queen of Sheba Tea House. The co-op of women are now saving to start a grocery store. A grant was given to a 17 year-old woman to sponsor her tuition and living expenses while she attended a six-month tailoring training in Addis Ababa. Upon her return to Lalibela she established a tailor shop and taught 8 other young women tailoring skills. Their most recent grant was given for rent to open a store front shop. A grant was made to fund the start up of a small restaurant where a number of local members of the community are employed. The proprietor has applied for a grant for a new refrigerator so that she can serve cold beverages to her patrons. A grant was given to a Maasai woman who was starting a school for rural Maasai children to learn in their own language. The school is now self supporting. A grant was made for a program to help build wells in villages where women traditionally have walked ten miles for daily water. Ongoing support for children at a Tibetan orphanage which teaches the children the traditional craft of paper making. 10 year commitment for scholarships for young girls in India so they can complete their schooling. Funds for supplies for a community project in Mongolia to rebuild a monastery. Travelers provide a day of service. Provided books for rural schools in Mongolia. Chair and CEO: Leif Utne - A long-time activist, journalist, musician and social entrepreneur, Leif is the co-owner and CFO of Cross Cultural Journeys. Secretary/Treasurer: Cilla Utne - An expert in intercultural communication and a native of Sweden, Cilla is the President and CEO of Cross Cultural Journeys. She holds an MBA from Presidio/Pinchot University. Carole Angermeir - Founder of Cross Cultural Journeys and the CCJ Foundation. Carole retired in 2015 after running CCJ for 24 years. Shelley Morrison - Intercultural educator, journalist, and marketer. Wilford Welch - Author, activist, retired executive and diplomat. 2004 and 2006, CCJF organized two gatherings in Indonesia entitled, “Quest for Global Healing”. The purpose of the Quest for Global Healing initiative was to address the interrelated global challenges of extreme poverty, human rights, social justice abuses, and environmental degradation. Over 1,000 people from forty countries joined in Indonesia in December 2004 and August 2006 to explore these issues and to determine actions to address them. Carole Angermeir, founder of Cross Cultural Journeys and Cross Cultural Journeys Foundation was one of the founders of the initiative. Both conferences led by Wilford Welch, Chairman of the Cross Cultural Journeys Foundation and a former U.S. diplomat in Asia, along with Nobel Peace Prize laureate Desmond Tutu of South Africa as the chairman of the initiative. Archbishop Tutu of South Africa was joined by two additional Nobel Peace Prize winners, Betty Williams of Northern Ireland and Jodie Williams of the United States. Funding partners were the Ford Foundation, The Fetzer Institute, and the John E. Fetzer Foundation, the Sister Fund, Rudolph Steiner Foundation and the Seva Foundation. CCJF worked collaboratively with foundations to award numerous scholarships for the 2004 and 2006 Quest For Global Healing conferences. In June 21-25, 2010, Wilford Welch, through Cross Cultural Journeys Foundation, organized a third gathering entitled “Beyond Sustainability”, to explore the principles and practices of indigenous peoples that may help move us towards a sustainable world. See Beyond Sustainability. Funding partners for Beyond Sustanability were The Charles Engelhard Foundation, The Christensen Fund, the Fetzer Institute, The Hawaii Community Foundation, The Pohaku Fund, The Gordon and Llura Gund Foundation, and the Watson Family Foundation. Many of the sixty leaders of U.S. NGO’s and other civil society organizations who participated in the Beyond Sustainability initiative received scholarships from CCJF.